So I decided to do some actual testing to see what actually works for me. Last year, I got into the Bullet Journal. It definitely made me more organised, but it didn’t necessarily make me more efficient. I know that I need background noise. I also know that I work better outside of working hours (I think it’s knowing my inbox doesn’t matter) or without a looming deadline – although I do work well under pressure, I also tend to beat myself up for leaving things to the last minute at the same time. This year, I decided to give in and buy the Productivity Planner. I had read about the it a few times before. Made by Intelligent Change, from Alex & Mimi Ikonn – who I think I found either via a Luxy hair extension vlogger collab or a feature on a Gary Vee video, it is actually a very simple product, championed by non other than 4-Hour Work Week’s Tim Ferriss himself. The fact that it was so simple was the reason that I didn’t buy it – anyone can write a to do list. Why pay £20 for someone to design a page for you to write your list on?! But oh my gosh, it works. By simple, what I mean is that the actual Productivity Planner system is very simple. You write a To Do list for the week, categorised by importance. Then another list for each day as you go through the week, you prioritise each task, then you estimate how long it will take you to carry each one out, then you carry them out. Simples! Then you review your week and start the process again. The planner recommends using the pomodoro system (25mins on – focused, undisturbed work and 5 mins off – to make a drink or take a walk around the block). I downloaded a simple pomodoro app and just hit ‘Start’. When I’m using it right, I am the most productive I have ever been. On my less productive days, it either comes down to the fact that I’m not staying focused during those 25minute slots or because I’m not completing the system properly. It’s that simple. I’m obsessed. Rob has even got one, after doing a bit of his own research, and he isn’t a stationary guy. Neither does he usually jump on the latest thing I found on Instagram and am trying out very often. For someone who lives in the online world and runs a social media company, I love a pen and paper. Most of my initial planning in life and in business happens with a black A4 sheet of paper and a sharpie. I’m not kidding. I’m a creative at heart. I enjoy colouring in the pages of my Bullet Journal in the evenings. I love writing a to do list – not a pretty one. 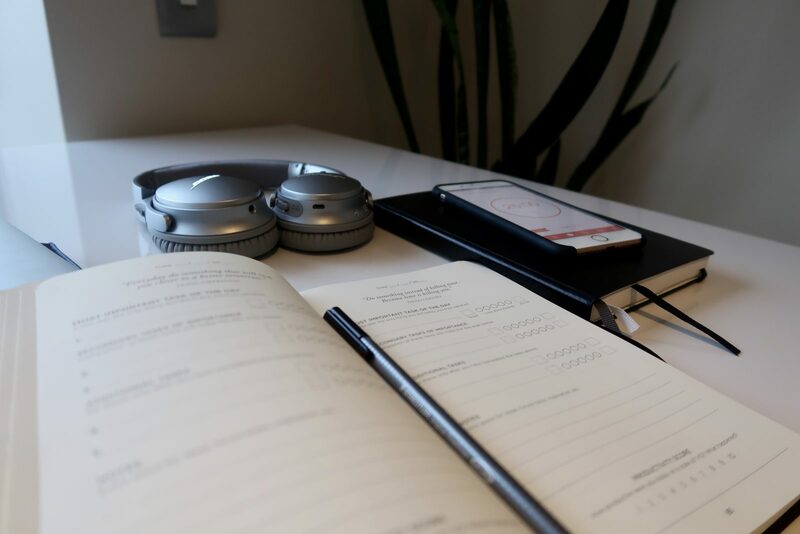 A really simple one that I can check things off quickly with – and the Productivity Planner really works for me with that. I totally recommend it. 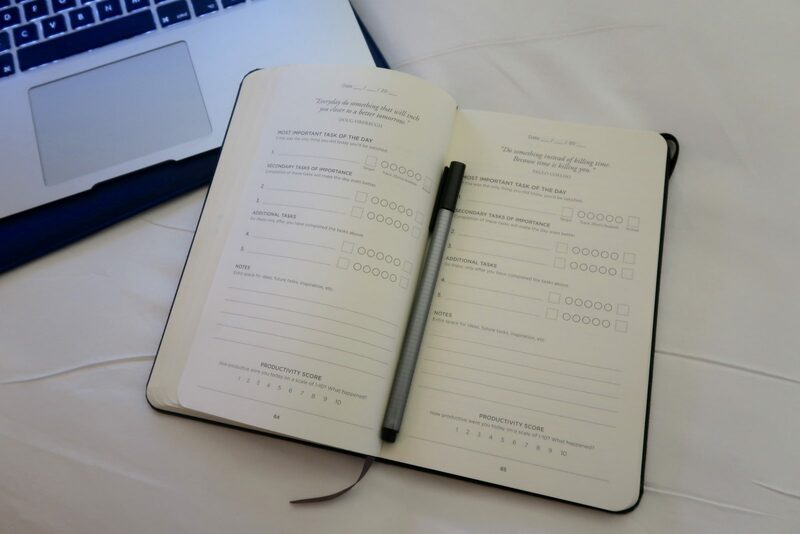 FANCY WINNING YOUR OWN PRODUCTIVITY PLANNER? 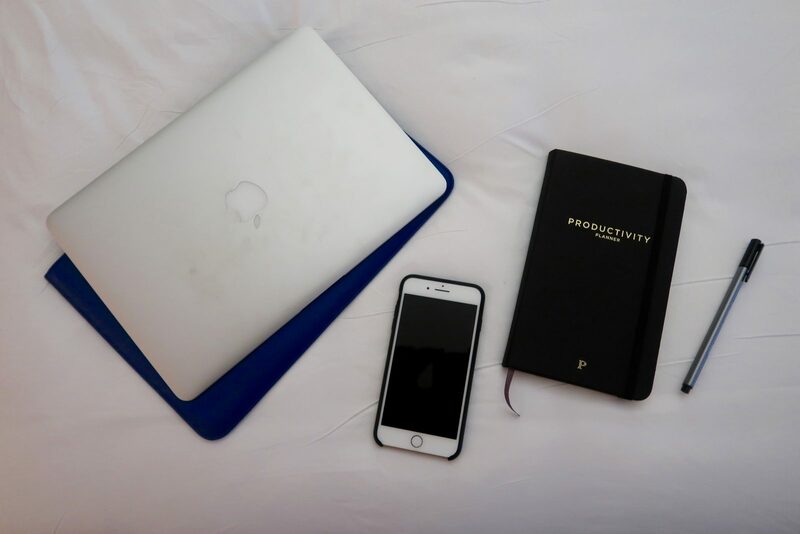 I’m giving away 2 Productivity Planners this month – one on Youtube and one on Facebook. All you have to do is head on over to one of them (or both – go ahead!) and tell me why you want to win in the comments below my ‘5 Things I Loved in January’ video (I publish the videos on both pages).